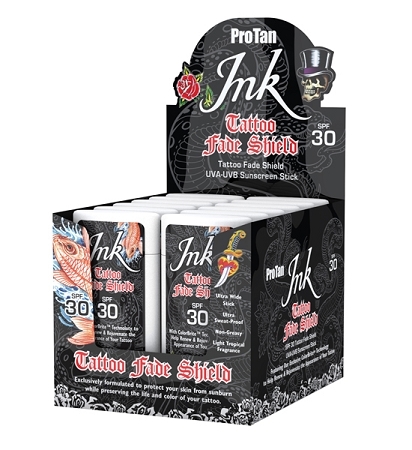 ProTan Tattoo Stick has ColorBrite™ Technology that is designed to help Renew & Rejuvenate the appearance of your tattoo. You'll notice a brighter tattoo immediately after application. This extra wide stick is always handy and ready to protect. 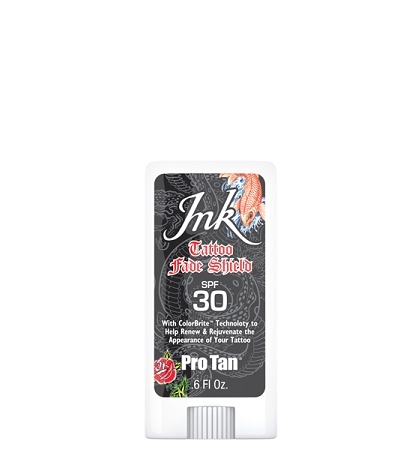 Use it directly over tattoos along or on nose, ears or face for broad spectrum protection. Self Expression - It's a Beautiful Thing!